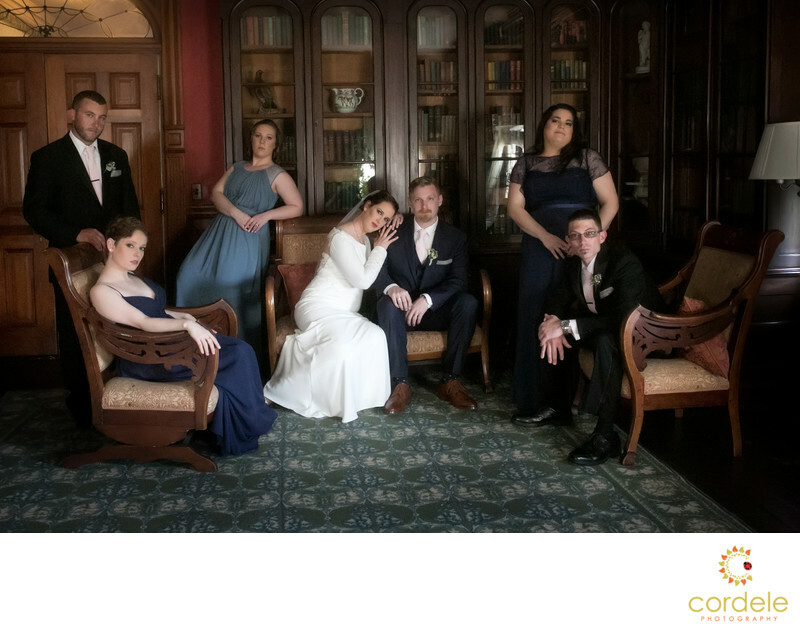 Whenever the bridal party is willing, I will try and get them to do some wonderful group photos in a unique location, even the Lyman Estate. The outdoor bridal portraits are great, and we have all seen them standing in a line, but I want to give the client something a little different. This group was totally up for something unique so we went into the library of the Lyman for their group photo. The lighting was coming in from two sides of the room, so it have the perfect illusion of a studio softbox. The feel of the room was antique and stoic, so we went with a more serious expression on everyone. They pulled it off brilliantly! The estate houses grounds for outdoor ceremonies and small intimate indoor cocktail receptions.